TIP: The nice thing about using an /udl file is that you can open the file in a text editor to see the connection string. Once I confirmed that the driver and the permissions of the Netezza user I was using were all squared out, I was ready to create my first package. 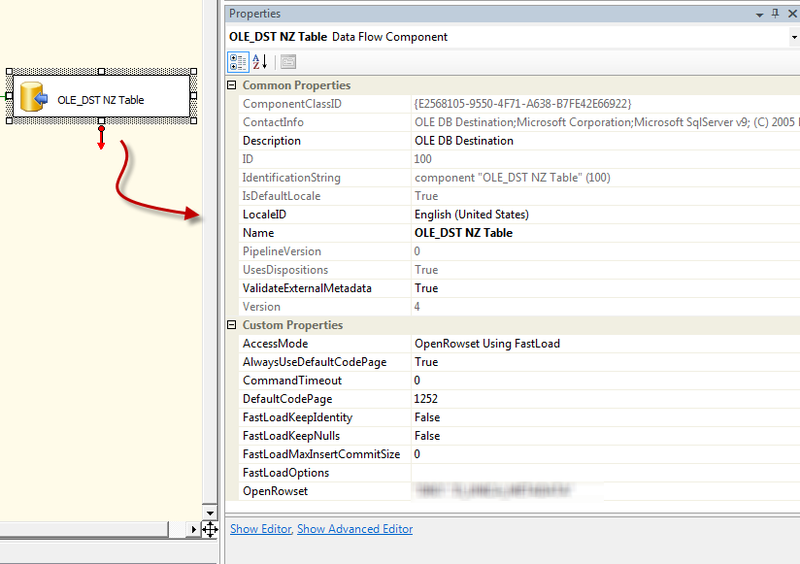 Since this was a straight copy of data from SQL Server to Netezza, the logic in the package was nothing really exciting. So, let me jump directly to the settings of the OLE DB destination component. 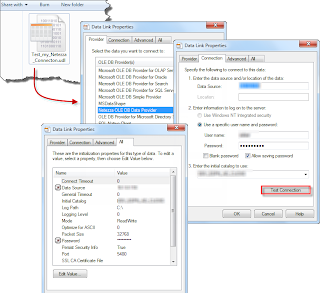 Notice that FastLoadMaxInsertCommitSize = 0 is the default selection and something that you would typically change if you are loading data into a SQL Server table instead. But for Netezza destiantions, using a value different than zero seems to degrade performance considerably. Ah! and remeber you have to use the OLE DB destiantion propeties window or the advance editor to select "OpenRowSet Using FastLoad". In a subsequent post, I will talk about another issue I am facing when trying to run several of this packages concurrently using a 'parent' package. Hopefully, I will have a solution by the time I post it. 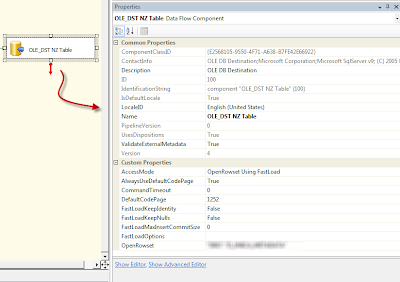 Anyone else loading data into Netezza vis SSIS-OLE DB?. It is amazing the little inforamtion available about it out there. Where can I download Netezza OLE DB provider (v. 5.0.8) ? ?